Wow - the big law firm Milbank certainly provides insight into the ridiculous cost of dealing with lawyers. STARTING salaries for new attorneys out of law school is $190K - that takes a lot of billing hours at high rates to cover. “If we didn’t do this at some point,” another law firm would have done it first, said Milbank chairman Scott Edelman. Scott Edelman of Milbank, Tweed, Hadley & McCloy. Ratcheting up market pressure on associate compensation, Milbank, Tweed, Hadley & McCloy announced Monday that it will increase its associate salaries across the board by $10,000 or $15,000. Summer associate salaries will also increase, pro rata, under the same scale as first-year associates. 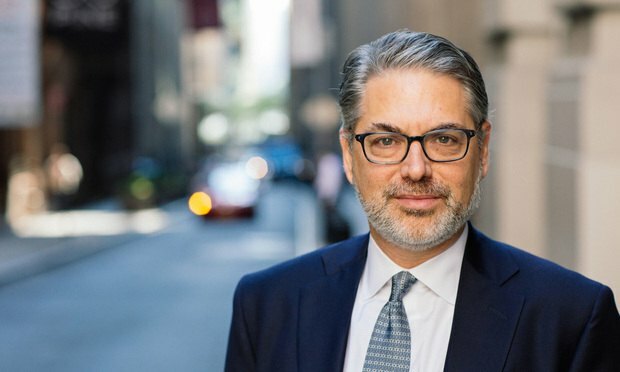 The firm announced no plans to broadly change counsel compensation, as Milbank sets compensation for counsel lawyers on an individual basis. The firm announced the raises to its associates on Monday. The 690-lawyer firm’s 2017 financial results mark its fifth straight year of solid growth, according to ALM’s reporting. Milbank saw its profits per equity partner rise nearly 11 percent last year to $3.46 million, while its gross revenue rose 7.1 percent to $916.54 million. Revenue per lawyer increased 3 percent to $1.33 million. Cravath, Swaine & Moore last set the industry standard for associate compensation in 2016, boosting starting pay by $20,000 to $180,000. Milbank and many other firmsimmediately matched. “If we didn’t do this at some point” soon, another firm would, he said. When asked whether he expected the increases to put a dent in partner profits, Edelman said, “Any time you raise the cost of your expenses, it’s going to have an effect on your profits.” He declined to quantify the increase in expenses the firm will absorb, but Milbank has about 500 associates, so firmwide raises would likely translate to an immediate overhead increase in the mid-seven-figure range. Edelman said the change would not have “a material effect on firm finances,” adding that he didn’t expect partner capital contributions to change. Milbank’s move comes as law firms are heavily competing to attract and retain talented associates—a crucial element in building a large firm’s profits and the next generation of lawyers. Just last week, Weil, Gotshal & Manges told associates it will shorten the path to partnership by two years in order to retain more talented associates. Edelman said Milbank’s associate pay raises were not influenced by an external event, and the firm had been considering the salary increases for months.